We ... don't know how the world will look like in five years from how - how crazy and insane the central bankers will become. 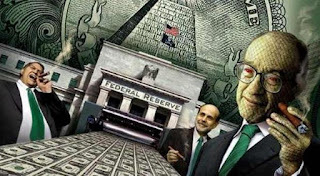 Central bankers can buy all the government and corporate bonds. As in the case of Japan, they can also become a major shareholders in companies. So in essence, they can buy all the stock market. Through money printing, the world can move into State-ownership, socialism and communism.